Japanese Gin is a recent phenomenon. Many prominent Japanese whisky distillers seemingly banded together in 2016–17 to make “Japanese Gin” it’s own thing in the way Japanese Whisky is. And they were somewhat successful. 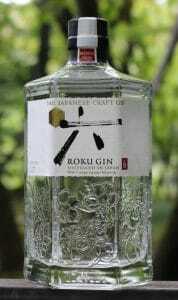 Japanese Gins tend to emphasize unique local botanicals (like Shiso and Yuzu) in addition to more classic botanicals. It’s easy to see the Japanese influence on the classic gin formula, especially in some of the category’s early releases. Is Japanese Gin it’s own category? Not quite as of now. The introductory releases are squarely within the contemporary school of gin distillation; however, with time, who knows.